The Lord of the Rings: The Fellowship of the Ring – The Complete Recordings is to be re-released on 16 March 2018 in the UK and 30 March 2018 in the USA. 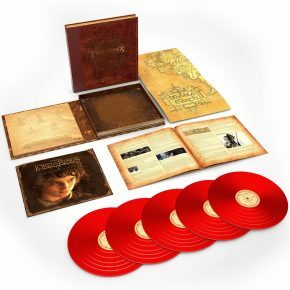 Howard Shore’s full score to the extended edition of Peter Jackson’s adaptation of The Fellowship of the Ring will be released as a four disc set, including three CDs and one Blu-ray disc. The Blu-ray disc will feature the full soundtrack in various sound formats, including Advanced Resolution Surround, Dolby Surround, and Dolby Stereo. The soundtrack will also be released on vinyl for the first time as a five LP set.